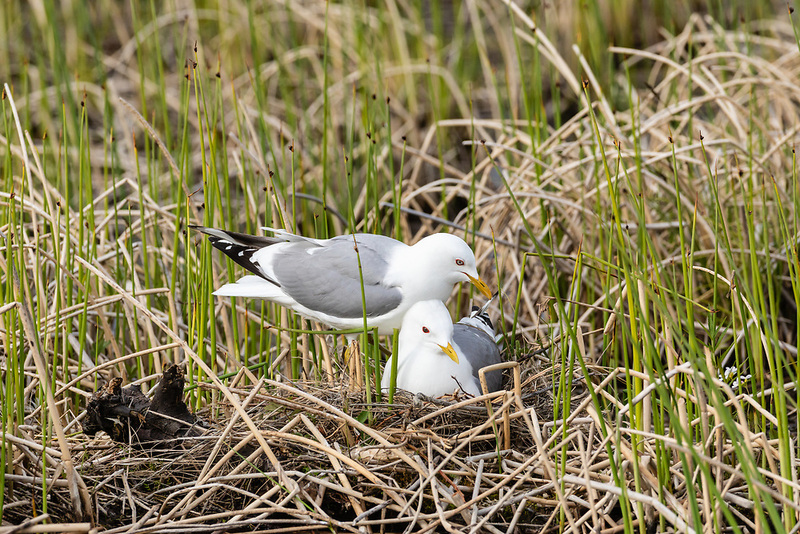 Mew Gulls (Larus canus) on nest at Potter Marsh in Southcental Alaska. Spring. Evening.